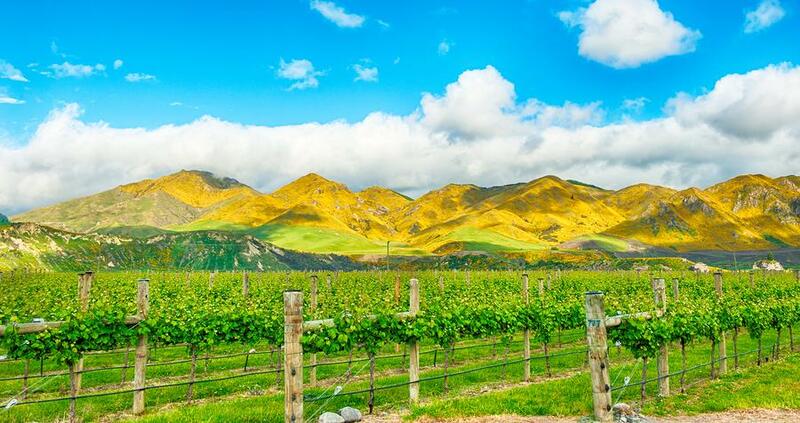 Located on the South Island of New Zealand at the north-eastern extremity, Marlborough is a stunning region famous for plenty of sunshine and as New Zealand’s largest wine growing region. Blenheim is the largest town in the region while nearby Picton is the gateway to popular attraction Marlborough Sounds, an incredible series of ‘drowned valleys’ which offer a spectacular insight into the interplay between nature, land, sea and light. 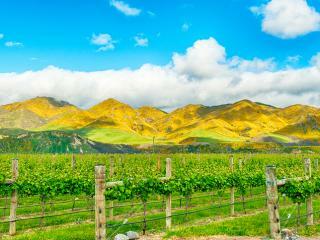 Explore Marlborough’s wineries and things to do in Blenheim with a winery tour taking in a variety of local operators along the wine trail. Travel by bicycle, car or coach and sample the best Marlborough has to offer, dine alfresco surrounded by the vineyards and taste local liqueurs, fruit brandies and beers at the nearby distilleries. There’s also the Sunday Farmers Market where you can shop for gourmet produce from the farm gate. While you’re in Blenheim, why not visit award-winning gardens and local parks or discover the early history of the region at local museums. For an incredible display of World War One aircraft, you can’t miss the Omaka Aviation Heritage Centre. Picton is the gateway to Queen Charlotte Track and the intricate waterways of Marlborough Sounds, the region’s most popular attractions. Arriving by sea means you can explore an incredible maze of bays and deep coves in Queen Charlotte Sound. For those on dry land, the Queen Charlotte Track is one of New Zealand’s Great Cycle Trail Rides. If you want to walk it, be prepared to spare 3 to 5 days for an unforgettable experience and plenty of comfortable accommodation and restaurants along the way. History buffs will love the Picton Museum, offering an insight into the fascinating history of Waitohi as a whaling port, colonial port and Maori trading settlement. In Picton Harbour, there’s also the Edwin Fox, the ninth oldest ship in the world. You can also dive shipwrecks in Port Gore, including one of the world’s largest diveable wrecks, the Mikhail Lermontov. Things to do also include a sea kayaking safari or cruise Marlborough Sounds exploring its multitudes of coves and inlets.